What to Do if Add Remove Programs Won't Remove Adware Spyware? What to Do if Add Remove Programs Won’t Remove Adware Spyware? 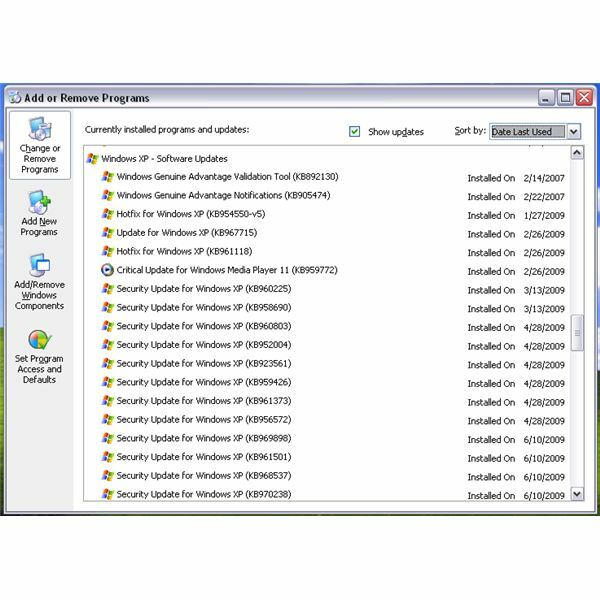 The Windows operating system lets you control which programs, updates and features to install, remove or change. The tool is called Add and Remove Programs in Windows XP while Vista and Windows 7 users will find the said tool as Uninstall or change a program tool. The Add or Remove Programs tool is located in the Control Panel of Windows or you can simply type appwiz.cpl in the run command window and then hit enter key on your keyboard to open the tool to modify, add, remove programs. In some cases, removing or uninstalling a program using Add and Remove programs will not work or does not work well in removing the files or components added by applications. You can read in the sections below why and what you can do to remove properly what you really wanted to remove. If you tried removing a program using Add or Remove Programs tool but the removal fails, the installation of the application is maybe corrupted. This is true only if the installer has bug or you have a program that interferes with the installation of software. To sort this problem, you need to temporarily disable the real-time monitoring of antivirus, firewall or other programs that can interfere with the install process. Please note that you will only do this if you are quite sure that the installer is safe to install. Your antivirus program should detect something on the executable file during the download process or when you insert the installation disk. Next, ensure that you have the latest installer of the program that you are trying to remove then start installing it again so the corrupted installation is fixed. When the installation wizard prompts in rebooting the computer, please do so. Finally, start removing the program again using Add or Remove Programs tool. I hope you are not trying to remove in add remove programs an adware spyware software. If you are, proceed to reading the page 2 of this article. If you are removing a legitimate program, you should know that a non-corrupted installation of programs may also fail to remove if the application is running in the background. Try to shutdown the application or other applications that may be using any module or components of the program that you are trying to remove. Example: When removing antivirus programs that have installed add-ons for browser and e-mail programs, it is best to close the browser or e-mail client. Manually stop the protection of the antivirus program or disable the self-protection of the antivirus program. When the program is still not removed, you should try using the removal tool that the software vendor may have published. For example, Norton programs can be removed using the Norton Removal Tool, AVG users might want to use AVG Remover. Also, the website or support page of the software vendor may have published important removal instruction so spend some time to visiting the vendor’s website or support forums before using another work-around. Windows has a System Restore feature that automatically creates a regular restore point. If the program you are trying to remove was installed recently and you are sure that the restore points in System Restore are safe from malware infection, try to restore the computer state using the System Restore tool. If System Restore is not an option for you, such as when the program you are trying to remove was installed some weeks ago and the restore point before the install of the offending program is gone, you might want to verify if the program is actually gone from the computer when you tried removing it but the Add or Remove Programs tool is only displaying the software title in the list of installed programs. it means you are trying to remove remnants of an already removed program. To remove the program in the list, you need to use Registry Editor in Windows. Please backup the registry before using it. Type regedt32.exe in run command and then press enter key on the keyboard. Navigate to HKEY_LOCAL_MACHINE\SOFTWARE\Microsoft\Windows\CurrentVersion\Uninstall. Select "Uninstall registry key" in the left pane, then right-click to export this key in a file as your backup. Next, select each registry key under "Uninstall registry key" to find the program that is listed in the Add or Remove Programs but actually gone from the PC. 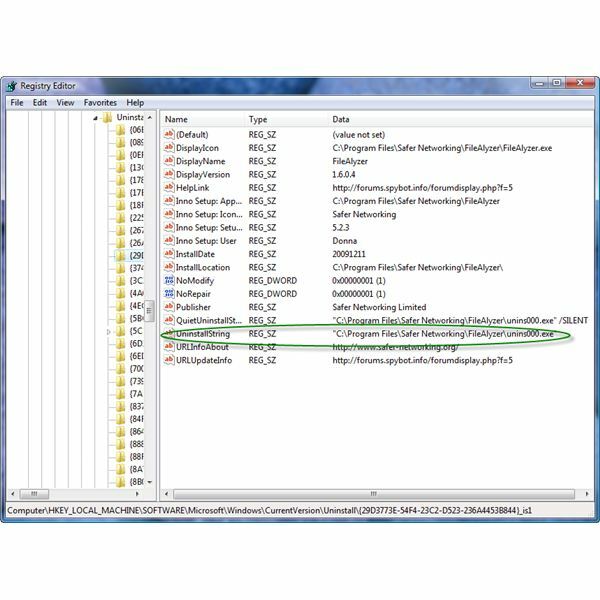 You will be looking at the right pane of each registry key for DisplayName or UninstallString values. Revo Uninstaller – Free program to remove other programs in Windows. AppRemover – A program to remove antivirus, firewall, antispyware and other security tools. 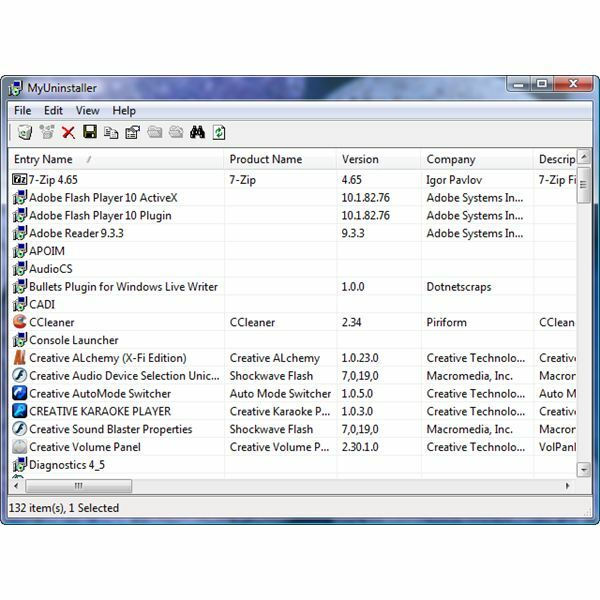 CCleaner – A privacy tool program with uninstaller function like Add or Remove Programs tool. Glary Utilities – An optimization tool for Windows with an uninstaller feature. 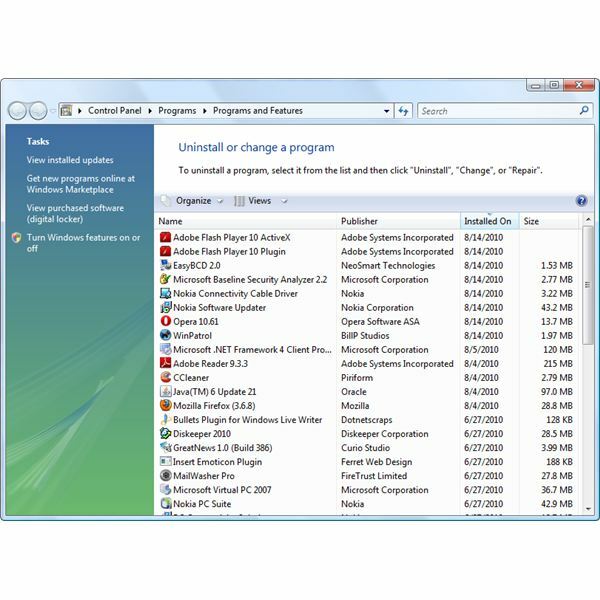 MyUninstaller – Alternative uninstaller for Windows with option to save the list of installed programs in a text or HTML file. You are maybe trying to remove adware and spyware programs that were installed without your knowledge or were installed by another program or malware. An example is the AdWare and SpyWare rogue program will not remove unless you will use an antivirus or anti-malware scanner and remover. Start scanning the computer using your preferred antivirus program. If you don’t have one, you can download AntiVir, Avast, AVG or Microsoft Security Essentials. When your antivirus program found no threat, you should start using an on-demand scanner that will detect spyware and adware. 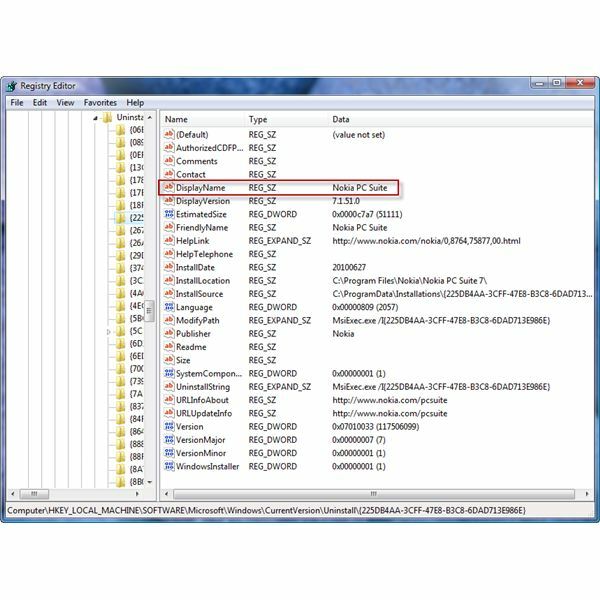 See "Removing Spyware, Adware and Potentially Unwanted Programs" in the page 2 of Complete Computer Virus Removal Guide. If you would rather use online or portable scanners, try using Trend Micro Housecall, EmsiSoft MalAware or SUPERAntiSpyware Portable scanner.